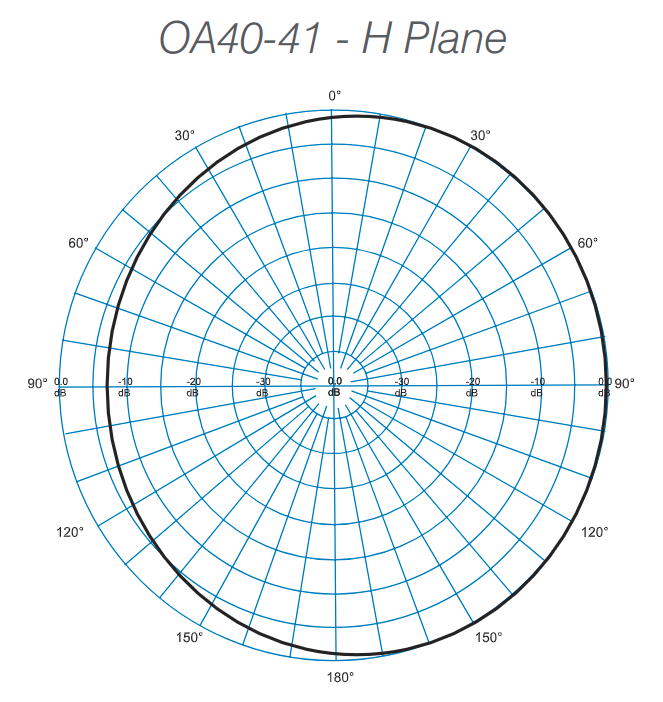 Diagram showing the relationship between the E and H planes for a horizontally polarized directional yagi antenna. 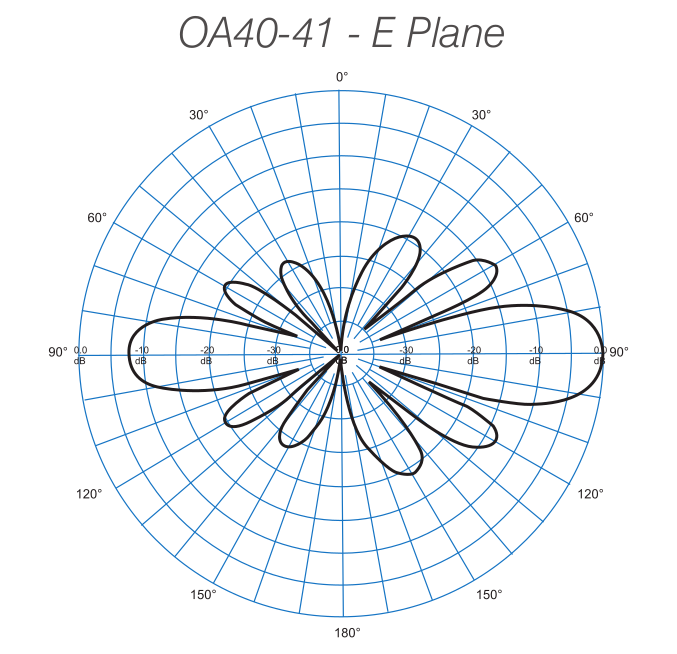 In this case E-Plane is Horizontal and the H-Plane is Vertical. 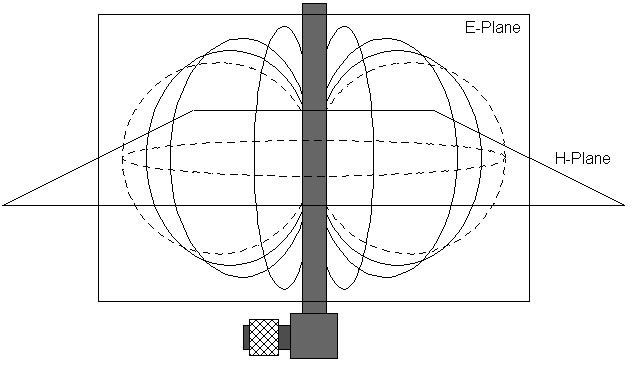 Diagram showing the relationship between the E and H planes for a vertically polarized omnidirectional dipole antenna. In this case E-Plane is Vertical and the H-Plane is Horizontal. 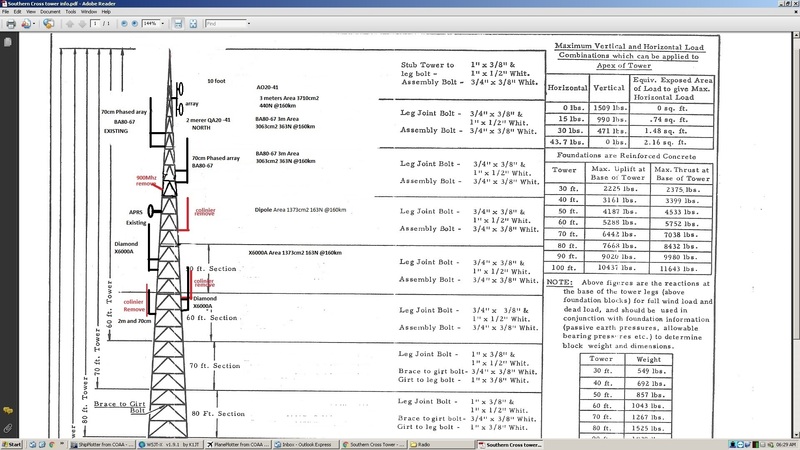 Mounting an antenna less than half a wavelength from a tower will alter the pattern. The objective is to direct the highest gain to the most used area of service. 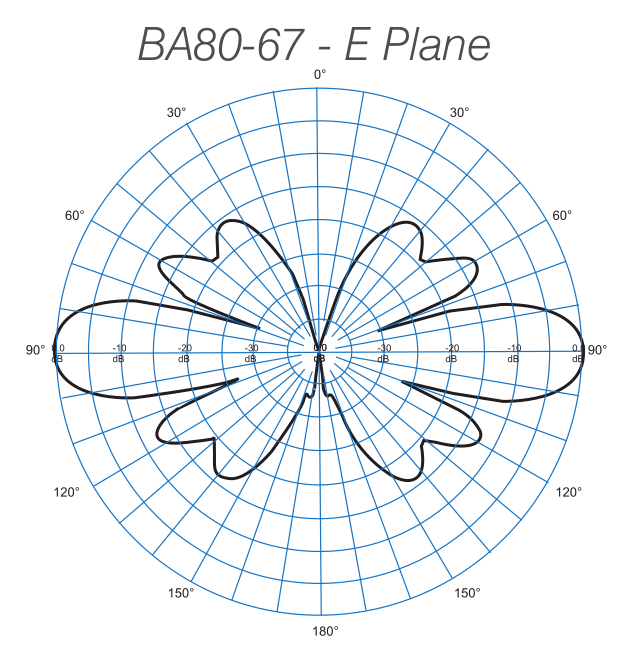 On the BA80-67 there is a lose of gain of approximately 7 db in the least favoured direction. The BA80-67 arrays utilise an internal phasing harness in PTFE based double screened coaxial cable with polyethylene jacket to aid waterproofing and resist bird attack. 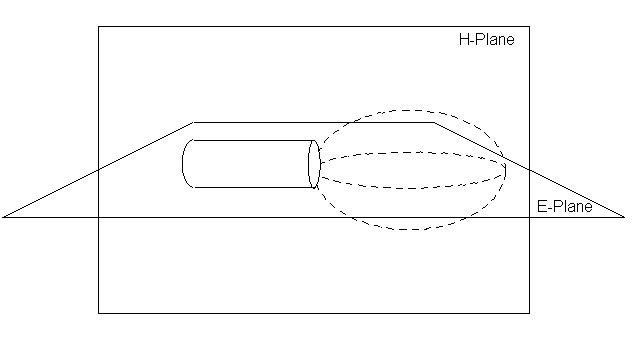 The use of a unique phasing arrangement provides extensive side lobe suppression and null fill characteristics. The arrays will accept an input power level of 500 watts continuous, making them ideal for high power multiple transmitter applications. The BA80 series are offered with 3°, 5° or 8° downtilt, to further enhance close-in coverage characteristics. All welded alodined aluminium construction and new fabrication techniques in both the harness and dipole sections have proven to minimise intermodulation and noise generated within the antennas. 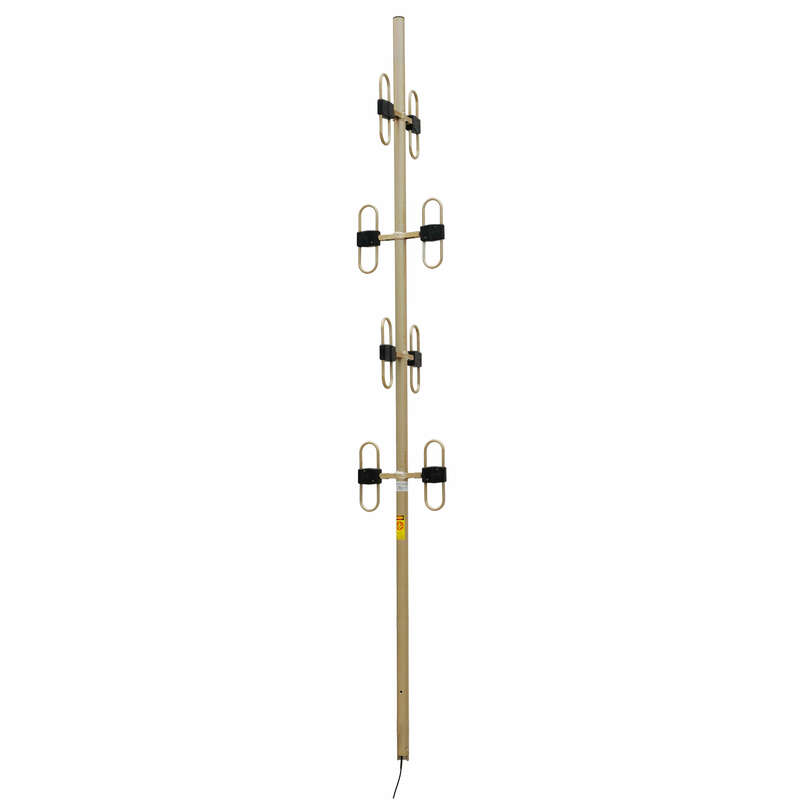 The entire array rests at ground potential and offers the ultimate in lightning resistant antennas. What is the purpose of alodine? It is primarily used as a corrosion inhibitor, primer, decorative finish, or to retain electrical conductivity. The process is named after the chromate found in chromic acid, also known as hexavalent chromium, the chemical most widely used in the immersion bath process whereby the coating is applied. Construction:	All welded aluminium with alodined finish. Termination:	N female with 0.5m 9142 cable tail. 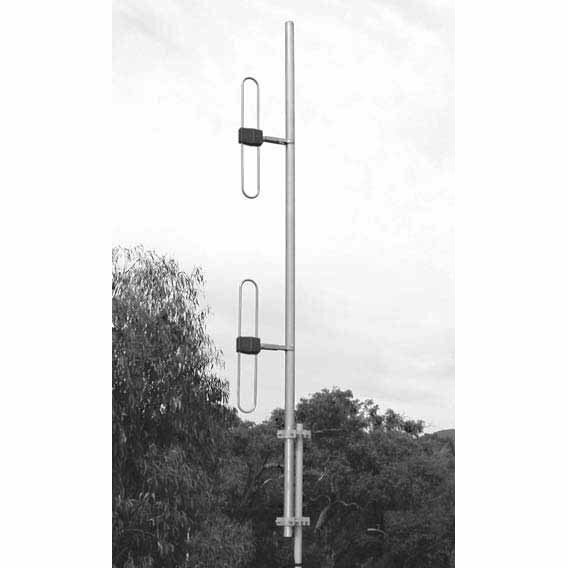 Diamond VX1000 50/144/430MHz(6m/2m/70cm) is made of fibre glass construction, pre-tuned and fully weatherproofed. No radials are required. Mast mounting brackets are included. The D-130J Super Discone Antenna is an ultra-wideband antenna covering amateur radio, commercial 2-way, cellular, air traffic control and various utility frequency bands. Rust-free stainless steel is employed in major component parts making the antenna rust resistant and durable. 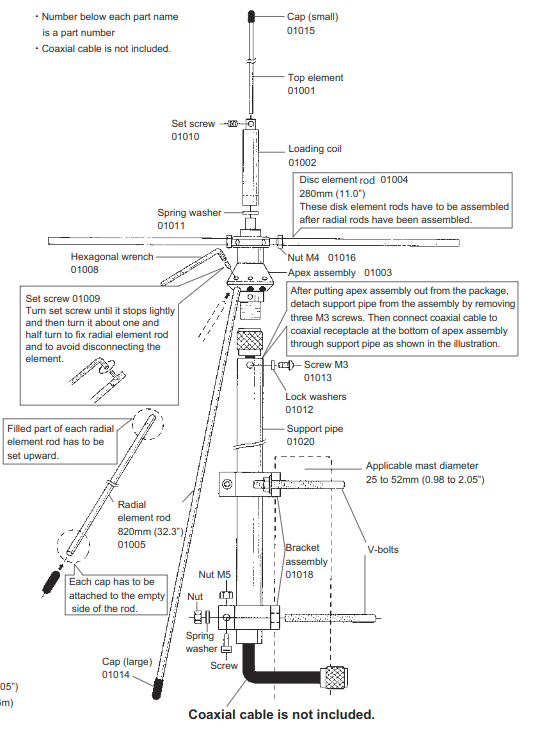 A discone antenna is a version of a biconical antenna in which one of the cones is replaced by a disc. It is usually mounted vertically, with the disc at the top and the cone beneath. Omnidirectional, vertically polarized and with gain similar to a dipole, it is exceptionally wideband, offering a frequency range ratio of up to approximately 10:1. The radiation pattern in the vertical plane is quite narrow, making its sensitivity highest in the direction of the horizon and rather less for signals coming from relatively close by.